Seek out a camera package that matches upcoming events. How do you know when a certain brand or model of cameras is being taken seriously? There might be a clue when they partner with an organization as important as the American Film Institute. Sony, maker of cameras such as the PMW-F3 Super 35mm XDCAM high definition camcorder, is gifting some of its other products to certain members of the AFI in order to encourage them to make movies as part of its "Be Moved" campaign. Producing high-quality clips and films can be difficult if you lack the latest in new and used broadcasting equipment. But as a dominant and highly visible brand, Sony provides proven equipment you can use to set your productions apart from the rest of the pack. Researching these possibilities can also make it easier to learn about newer developments as they happen. In a press release on the project, Sony American President Alec Shapiro described the intentions of the company when it comes to this initiative. "Sony prides itself on providing the Hollywood production community with the highest-quality tools for creation and distribution of their content," he said. In addition to the camcorders mentioned above, New Pro Video also currently lists a studio package featuring equipment made by the same company which could be especially useful for taking part in competitions, festivals, and other scenarios where brand name really makes a difference. The package includes a tripod plate and the items you might need to stay current. 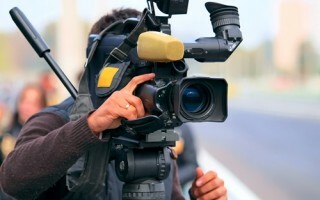 Investigate both camcorders and the other features that are most appropriate for you and your associates before the moments in which you might need them.